We are on holiday, we will send out the gift after 1 June 2019.
Who doesnt like a little bit of confetti now and then? Our confetti pouch is an innovative accessory that not only stores your makeup brushes, but also your office supplies. 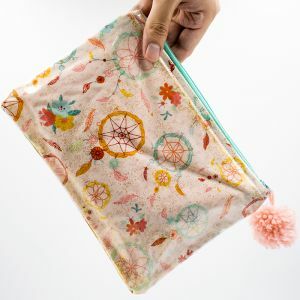 Whether you are on vacation or traveling for work, this pouch will definitely keep your things in place. This product is dispatched to you by the Peekapouch. Please refer to product details for time needed to make this product.